The airport is rolling out its first computerized-tomography checkpoint scanner, which produces a 3D image. With the new machines, passengers can put all or most of their carry-on items into a single large bin. 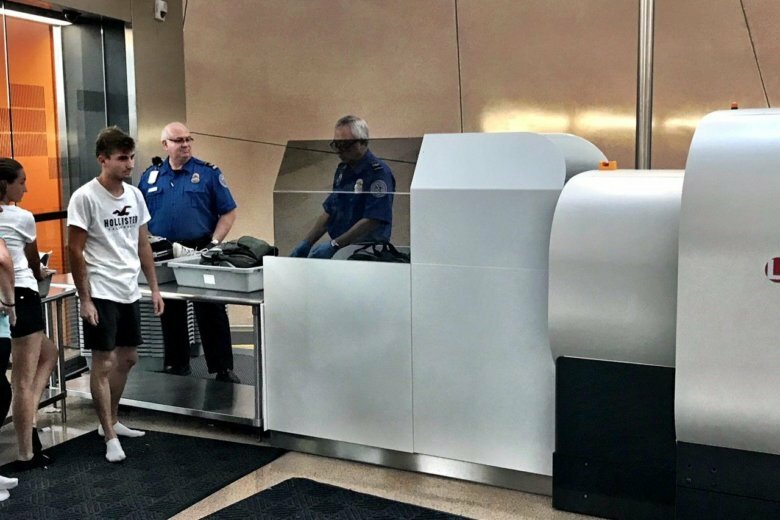 DULLES, Va. — Security screeners at Dulles International Airport are getting a better look at carry-on luggage and other items going through scanners, according to the Transportation Security Administration. Until now, TSA officers have only seen a two-dimensional view of items going through X-ray machines, as the agency attempts to prevent people carrying dangerous items onto airplanes. Now, Dulles is using its first computerized-tomography (CT) checkpoint scanner, which produces a three-dimensional image. Currently, Johnson said, the average passenger has to put laptops, shoes and suitcases in separate plastic bins, which travel on a movable belt through the X-ray machine. “Think of 2.5 bins that you put through the X-ray, and the amount of time it takes to review each one of those bins,” said Johnson. With the new machines, passengers can put all or most of their carry-on items in a single larger plastic bin. The TSA expects to have approximately 45 3D scanners in 15 airports, Johnson said — including Dulles and BWI-Thurgood Marshall Airport — by the end of the year. “And then, at the end of next fiscal year, we’ll have about 145 out, nationwide,” he said. The 3D technology has already been used at Dulles, albeit in much larger machines, in the screening of checked luggage.